Maria la Del Barrio director Richard Somes says Erich Gonzales and Enchong Dee have big acting potential. After his work as one of the directors of the fantasy-horror series Imortal, director Richard V. Somes is now working on the Philippine adaptation of the blockbuster Mexican telenovela Maria la Del Barrio along with his co-director Rory Quintos. 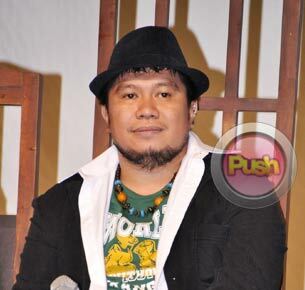 Somes, who first made a splash in the local industry with his multi-awarded, horror-themed Cinema One Original digital film Yanggaw back in 2008, said he is very much looking forward to directing a romantic drama for a change. “Actually this was a challenge for me because number one, I am so identified with the horror genre. I also have another horror film this coming MMFF (Metro Manila Film Fest). Personally, I think mas maganda din na i-venture yung mga sining mo as a director, kung kaya mo bang mag-drama or if it’s just horror,” he told Push.com.ph. Of his two lead stars, Director Somes admitted he liked the work attitude of Enchong and Erich on the set. “It was just carefree and fun dahil alam mo na these two persons na dini-direct mo ay capable in doing their characters. At the same time they’re very loving and lovable na mga persons so walang naging difficulties pagdating sa pag-di-direct sa kanila. They always adjust and yun nga yung maganda because since I’m young din so medyo nakukuha din nila yung culture ko ba. And at the same time, ‘pag may mga moment na kailangan maging mature sa eksena, nabubuhos din nila yung sarili nila sa role,” he explained. The Maria la Del Barrio director also added that he believes in the potential of Enchong and Erich’s career in the industry. “Actually kulang na tayo sa mga ganyang artista eh. I’ve said na before in a newspaper interview na bigyan mo sila ng mga tatlo or apat na taon, at mag-age pa sila ng tama because they’re so young right now. Pag nag-tama na yung edad nila, mas mag-mature na yun mga mindset nila, I think they’re going to be one of the great actresses and actors here in the country. And they’ll be famous talaga,” he shared with Push.com.ph. Director Somes said he was able to watch some of Enchong and Erich’s previous shows before they started working on Maria la Del Barrio. He also said working with Erich on Star Cinema’s upcoming horror flick Corazon also helped him become more familiar with the actress. “Ibang-ibang challenge din kasi yun. Medyo gritty yung role ni Erich dun and dito naman sa Maria la Del Barrio she’s flamboyant, lovable and charming na babae. Sa role niya sa movie na ginawa namin, dark yung character niya,” he said. Another big reason why the talented director accepted Maria la Del Barrio was because of the chance to work with director Rory Quintos. “Aside from the chance also to work with Direk Rory, I was accepted into this project with open arms. It has always been my dream to do a love story. Actually side lang din yung horror, dapat drama director ako eh. With Direk Rory I’m so thankful because kagaya nung sabi nung ibang artista din, to be honest, na star struck din ako sa kanya. Because growing up, I was watching her films sa Bacolod. Hindi ako laking Maynila eh. Pinapanuod ko yung mga movies niya so thankful ako na nakasama ko na siya ngayon,” he admitted.